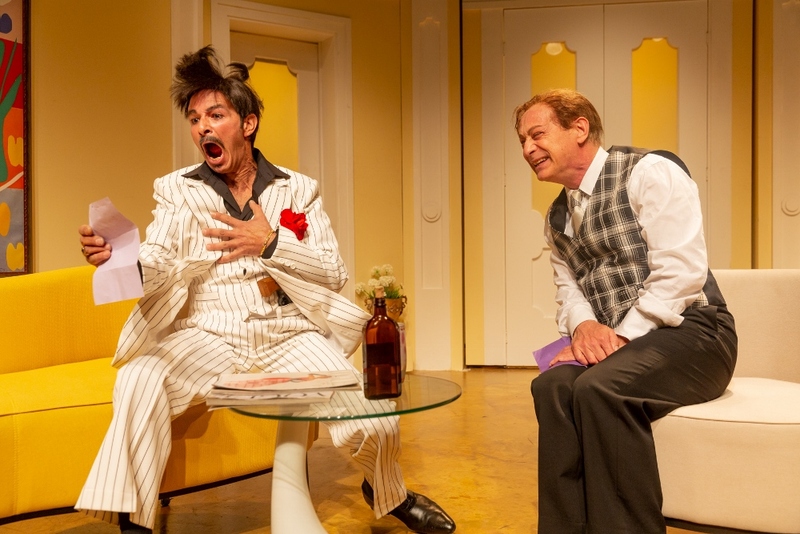 A Flea in Her Ear is a saucy, stylish, flirtatious, and hilarious romp! 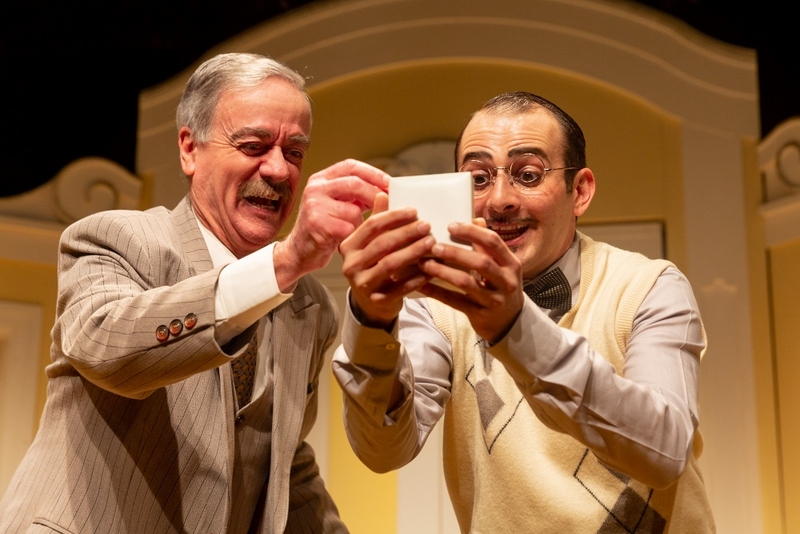 Georges Feydeau’s play, originally written in 1907, in a Hebrew version by Nissim Aloni, directed by Udi Ben Moshe, opens in an elegantly appointed Parisian apartment, sometime in the mid-20th century, with Irving Berlin’s Cheek to Cheek setting the mood for romance. In this mercurially swift-paced comedy of errors, one does not wait long for intrigue: a bold pinch is soon followed by a steamy kiss. The kissing couple might be married, but if so, probably not to one another. Feydeau (1862 – 1921) is known for his many farces, whose humor relies on intricate plots full of misunderstandings, coincidences, and mistaken identities. Presented with an exaggerated, fun-house-like distortion of reality, the viewer can sit back, relax and enjoy the fears and anxieties of the various characters. 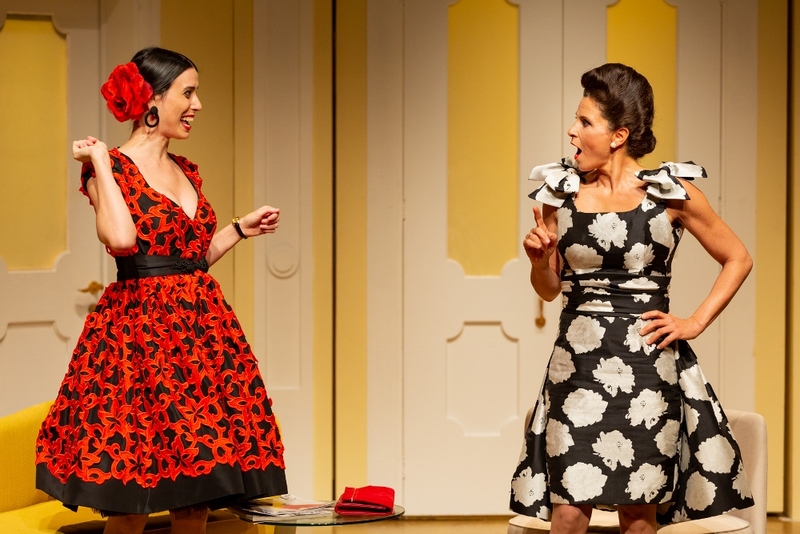 Raymonde Chandebise (Carmit Mesilati-Kaplan), happily married to Victor Emmanuel Chandebise (Erez Shafrir), has got ‘a flea in her ear’ – she is convinced that her husband is cheating on her, and confides as much in her friend Lucienne (Yael Esther Mor). Lucienne comes up with a plan to lay a trap for Chandebise, yet not too surprisingly, it all goes sideways, much to the glee of the viewer. The entire ensemble cast is wonderfully funny, and while the convoluted plot sounds complicated on paper – on stage it is marvelously hilarious! Yet the laughter the play provokes is powerful because its source is in our deepest fears and desires. The prevalence of mistaken identities and obsession with fidelity (that flea buzzing in almost everyone’s ear) reflect the vulnerable human sense of identity, the wish to be unique, the desire to be loved. There is a good measure of social satire and critique in Feydeau’s play, as expressed in the gap between appearances and reality, and the privileging of appearances over reality.